The creative association "Utrovortu" formed in St. Petersburg some years ago. 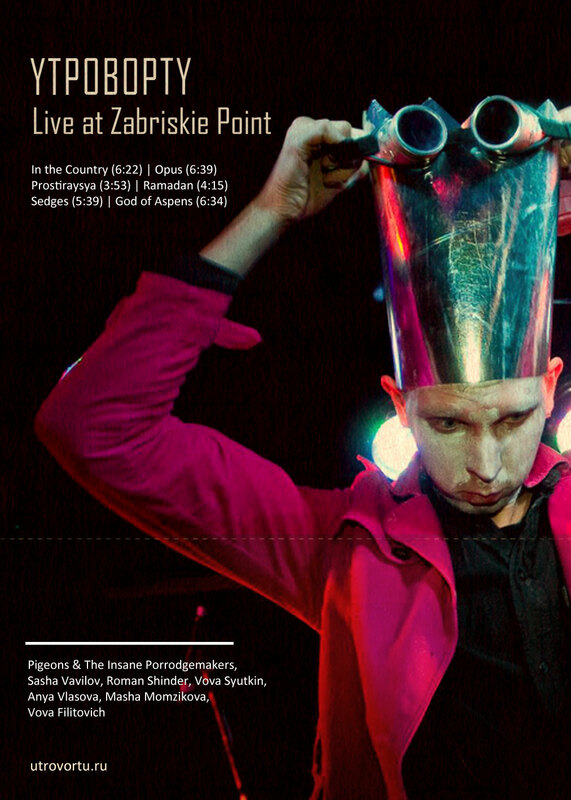 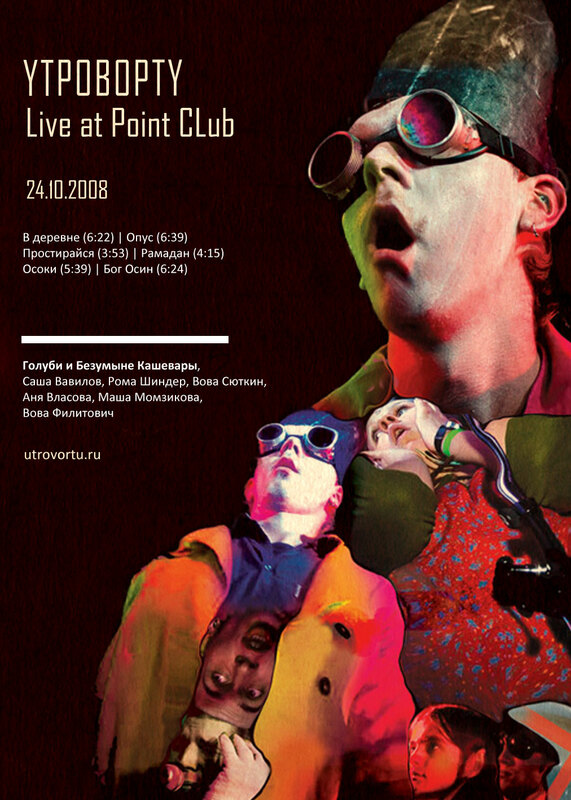 Its core was the band "Golubi i bezumnye kashevary" ("The Pigeons and the Insane Porridgemakers"), a large body of people performing at the interface between music and experimental poetry. At this moment the association released three LP albums, two live DVD, the book of poetry and drawings called "Pozdniy zavtrak" ("Late breakfast"), the video art work "Mulla v pustyne" ("Mullah in the desert") and also a number of live recordings and short films. 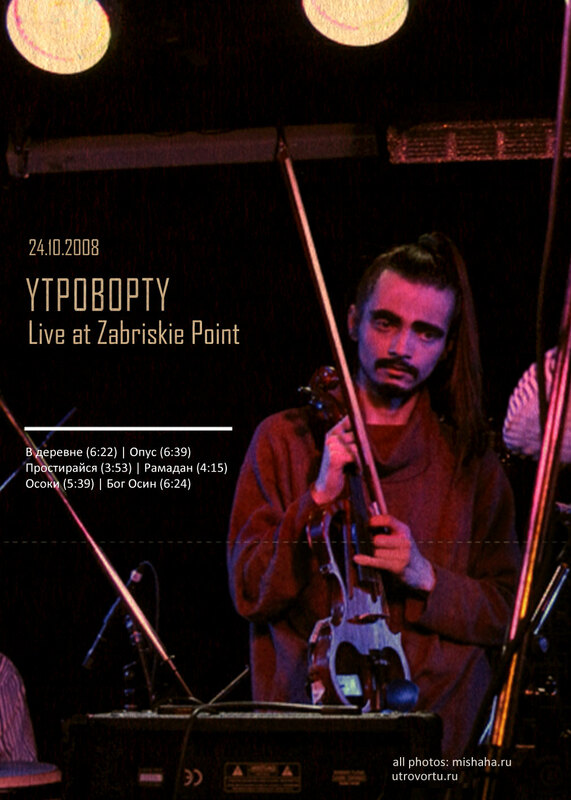 Besides the regular concerts of "Golubi i Bezumnye Kashevary" "Utrovortu" carries out experimental performances, based on the principles of spontaneity and all-round improvisation (mainly musical and near-theatrical). 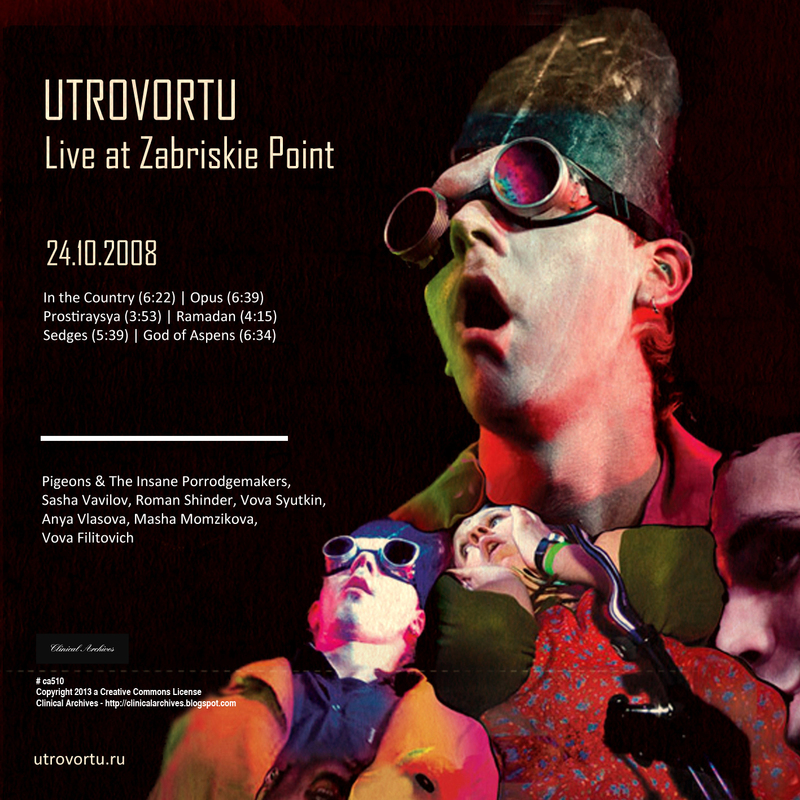 This recording was made in October 2008, and commits one of these performances.